En español | Jacques Lowe served as John F. Kennedy's presidential campaign photographer and then as his personal family photographer until 1962. 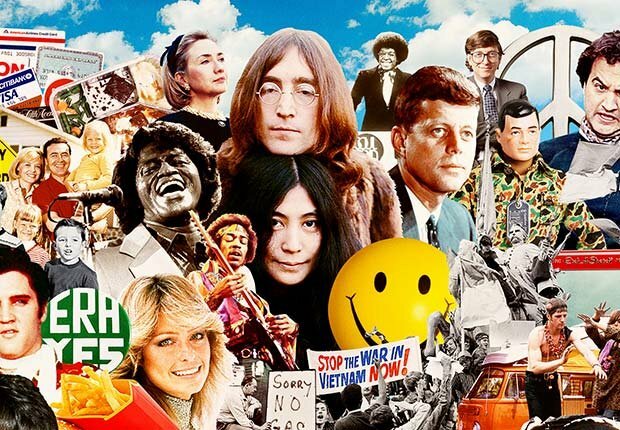 The photos in this slideshow are from an exhibit at the Newseum in Washington, D.C., that runs through Jan. 5, 2014. 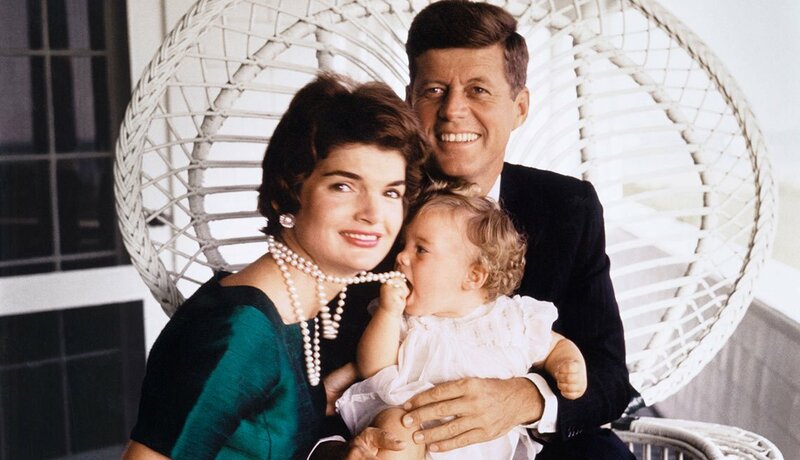 This iconic photograph of John, Jacqueline and a 9-month-old Caroline Kennedy was taken in July 1958. 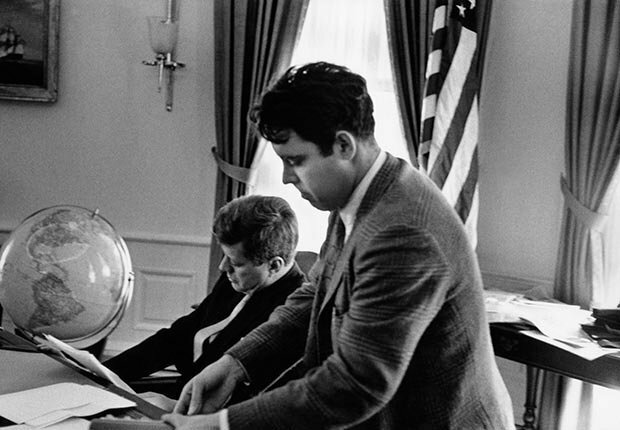 Young, handsome and vital, Kennedy, then 41, was a politician for a new age. Jackie, 29, brought an air of elegance and refinement. Jack and Jackie in Hyannis Port, Mass., taking a break from the 1960 presidential campaign. 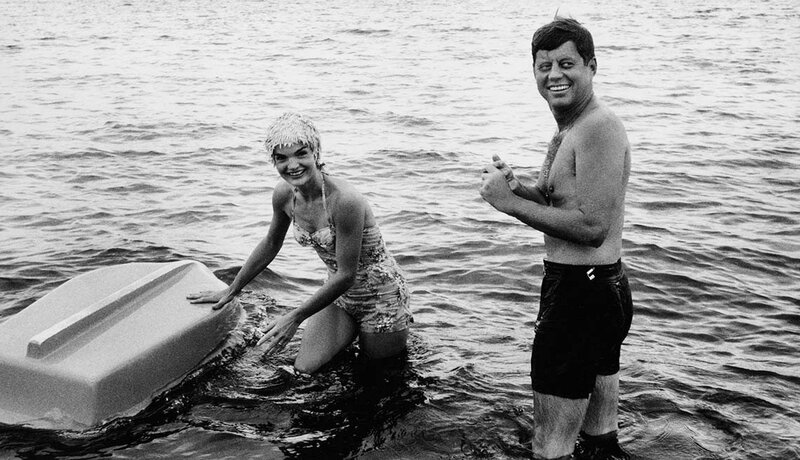 JFK loved the water and was a superb swimmer and sailor. 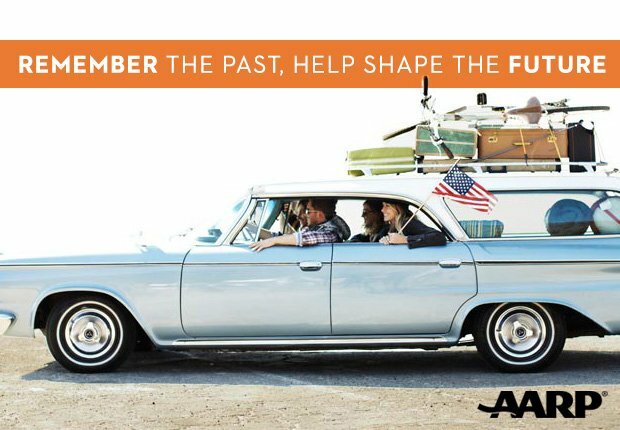 His legend as a hero began with bravery at sea on PT-109 during World War II. 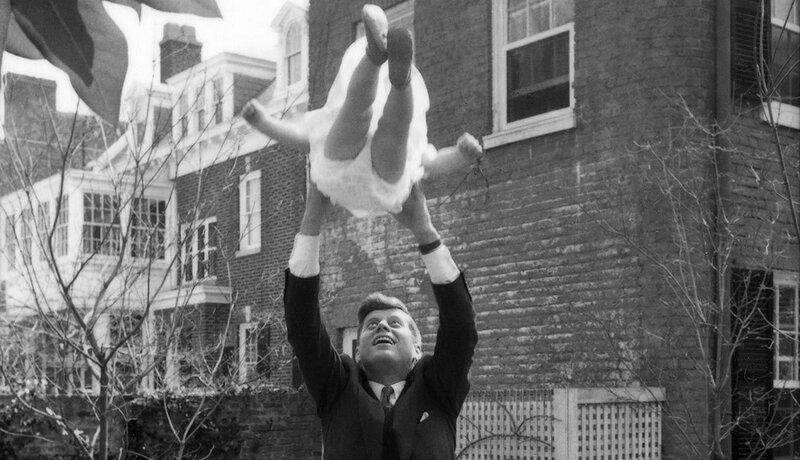 JFK tosses Caroline into the air in the backyard of their home in the Georgetown neighborhood of Washington, D.C. Back problems made physical play like this difficult for Kennedy, but he projected a healthy, athletic image for the camera. 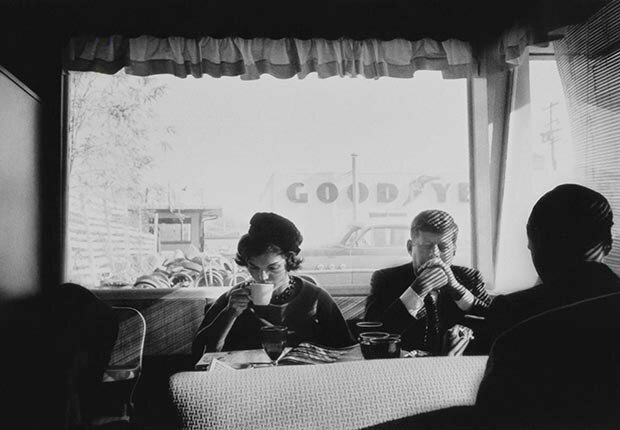 The future president and first lady of the United States sit unrecognized in an Oregon diner during a presidential campaign stop in the fall of 1959. Stephen Smith, with his back to the camera, was Kennedy’s brother-in-law and the finance chairman of his campaign. 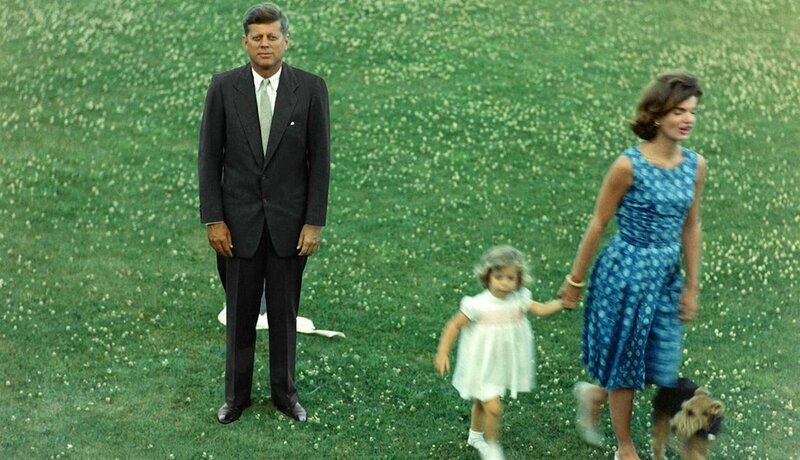 This photo captures the Kennedys just days before the Democratic National Convention in July 1960. Opposed by Lyndon Johnson and twice-failed nominee Adlai Stevenson, Kennedy would win the nomination on the first ballot and ask Johnson to be his running mate. 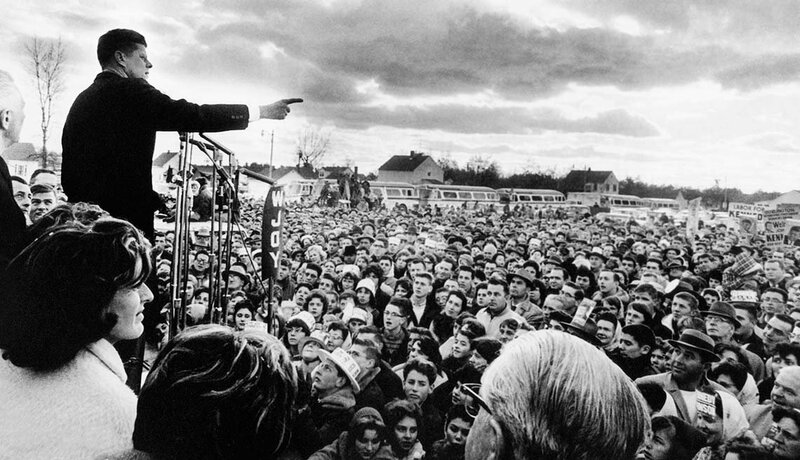 JFK speaks to supporters at a campaign stop in Vermont the day before the 1960 election. 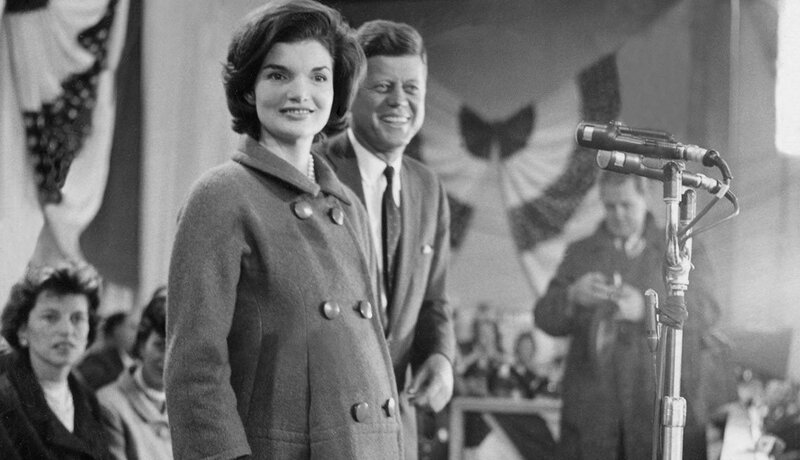 In one of the closest presidential contests in American history, John Fitzgerald Kennedy would win the popular tally by just 112,827 votes (less than 0.2 percent of the total cast). The president-elect delivers his acceptance speech at the National Guard Armory in Hyannis Port. "So now my wife and I prepare for a new administration, and for a new baby," he says. Their son, John Jr., would be born just two weeks later. A snowstorm on Jan. 19, 1961, delayed the start of the inaugural eve gala. When the first couple-elect finally arrive at 11, the hall erupts in cheers. The era of "Camelot" had officially begun. 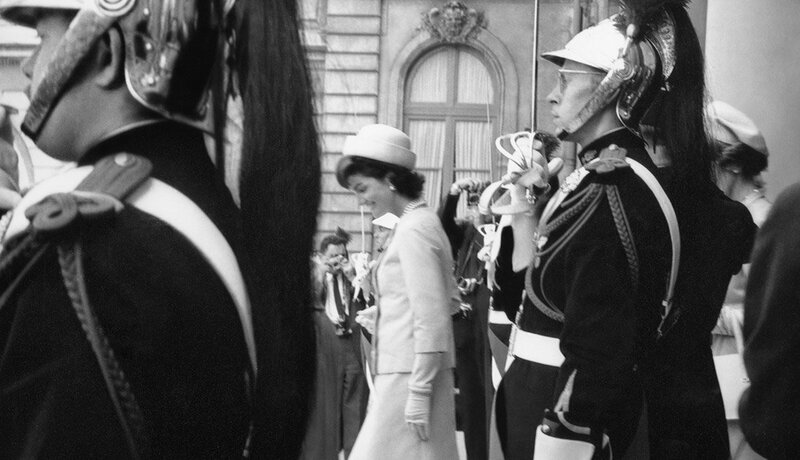 The first lady descends the stairs of the Elysée Palace flanked by the Republican Guard in May 1961. 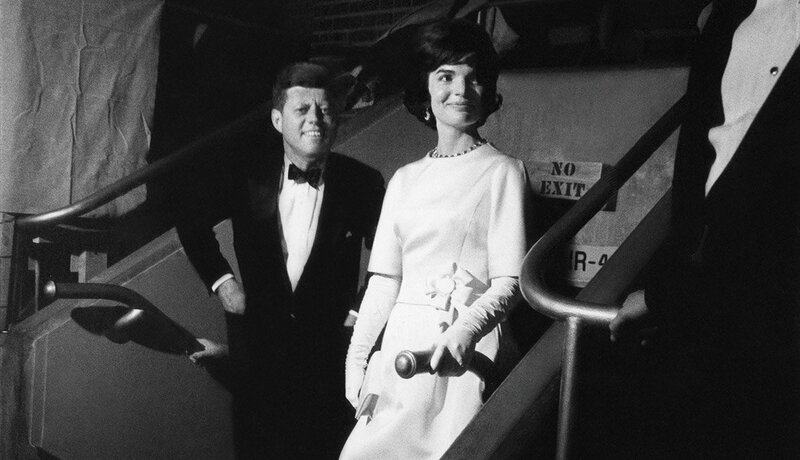 After she conquers the French, JFK remarks: "I am the man who accompanied Jacqueline Kennedy to Paris." 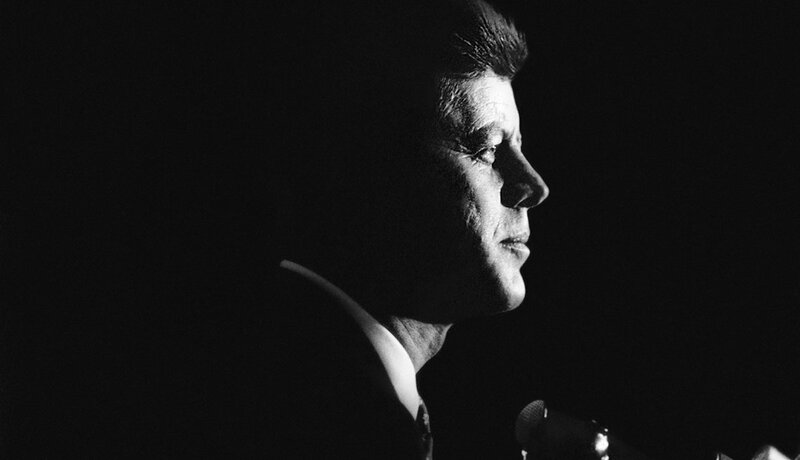 Video: Remembering JFK - A look at the life and presidency of John F. Kennedy.